Over 14,000 of the best and the brightest of the beer industry flooded into Nashville, Tennessee for the Craft Brewers Conference held April 30 to May 3, 2018. 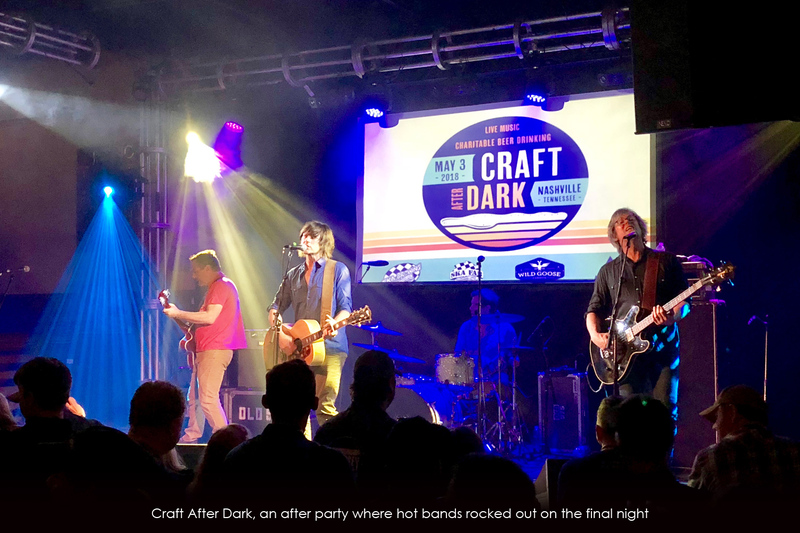 The CBC — the annual conference and brewer’s community gathering that grew up with the industry in the US and draws innovative brewers from around the world — reconvened in “Music City” during the first week of May. As in other even-number years, 2018 included the World Beer Cup competition, an international event that brought many of the world’s top brewers to town. 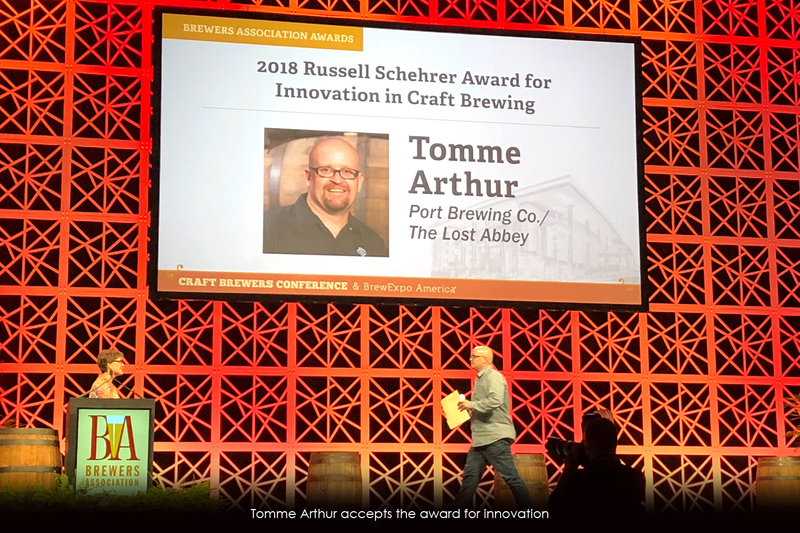 The awards presentation followed three days of conference seminars and the product demos of BrewExpo, a vast industry trade show also produced by the Brewers Association. Each element of the gathering offered testimony to the continued creative vibrancy of craft beer along with increasing challenges in a crowded marketplace. The World Beer Cup continues to grow and add beer categories as new styles and recipes gain traction. This chapter of the world’s largest global beer competition, founded in 1996, brought validation in the form of gold, silver and bronze awards to nearly 300 professional brewers and head-scratching to more than 2200 others, who are now awaiting the judge’s notes for any clues about how far their beers advanced before being eliminated, and why. Ultimately, 302 winning beers survived a gauntlet of blind tasting and critical discussions by industry peers from the US and 32 additional nations. The assessment of all 8,234 beers took 295 judges — 72% of whom hailed from countries outside the US — three full days to complete. Trends in the competition confirmed that American Style IPA continues to be the world’s darling, with 377 entries compared to an average of 82 in most of the 101 defined beer categories. The Imperial IPA style was tied for second-most competitive category. The gold for IPA and the silver for Imperial IPA both went to 14 month-old Revision Brewing Company, out of Sparks, Nevada. Founder and brewmaster Jeremy Warren said he was doing a beer dinner in the Sierra Foothills when his phone started blowing up with messages. Breaking the tension while waiting for their categories to be called, the crowd laughed at beer names such as “I Dunkled in my Pants,” from California’s Figueroa Mountain Brewing Co., which took gold for the Munich-style dunkel, and “Trump Hands,” which earned a gold plaque for Colorado’s Cannonball Creek Brewing Co. in the session IPA category. 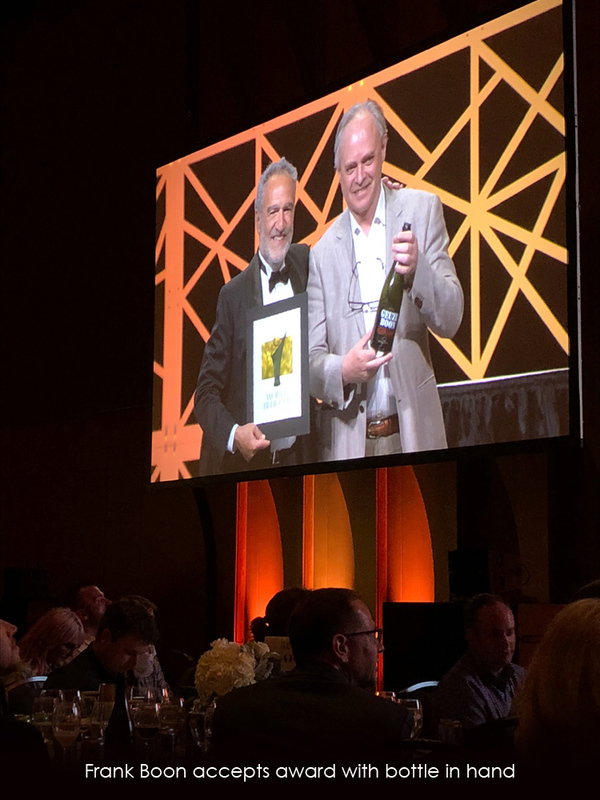 Industry vets and newcomers alike mounted the stage to claim their awards and greet the Brewers Association founder Charlie Papazian with a grin and a fist bump. Barrel-herder Grant Chandler of Lost Forty Brewing Co., out of Little Rock, Arkansas, was in that select contingent. The night before, Chandler had attended a gathering convened at Bootleg Biology Labs by the Milk the Funk community of sour producers, where he reflected upon the meanings of wild fermentation and the friendly culture of shared bottles and information. “My background is in molecular biology, and I’ve always had an affinity for germs and life at the molecular level,” Chandler enthused. He expressed gratitude for the ability to meet fellow practitioners of sour brewing. The following evening his team took home two bronzes, amplifying his sense of awe. He called the recognition “something of a dream” and a sign that Arkansas brewing is “catching up slowly but surely” with the brewing world. 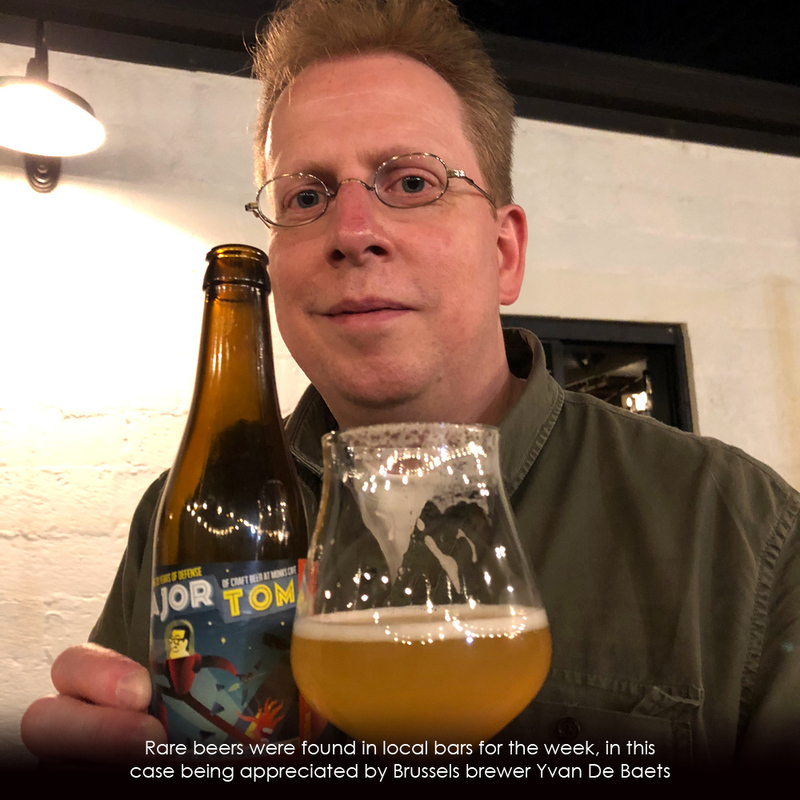 Frank Boon, whose beer was one of those served for the paired dinner leading up to the ceremony, took a gold home to Belgium for his Vat 108 Oude Gueuze. He had the presence of mind to pick up one of his bottles off the table to wave it from the stage while receiving his award. Second to the US, which captured 242 awards, was Canada, coming in with 13, followed by Germany with nine. 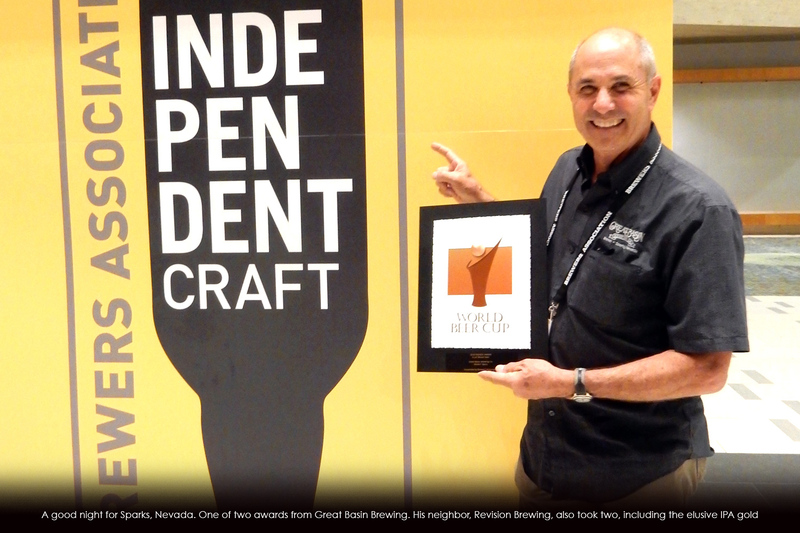 Stepping outside the hall, some brewers posed with their prize plaques in front of the gigantic yellow “Independence Matters” banners hung around the convention facility, bringing home the primary 2018 message about standing strong and conveying craft beer independence. 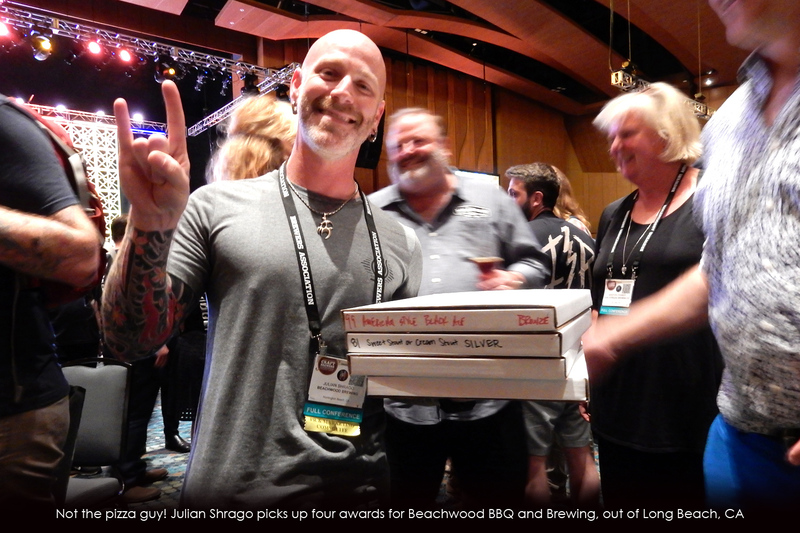 From the opening session, into seminars and meetings, the drumbeat of adopting the seal designating small and independent craft brewery set a tone for the conference. Currently, over 3,300 breweries have registered to use the inverted bottle designation on their packaging, swag or taproom doors. Despite such calls for smaller companies to stand together, the conference, expo and competition are designed to be “big tent,” embracing the entire beer industry. Honorees this year included brewing science educator Dr. Charlie Bamforth of UC Davis, pioneer brewing innovator Tomme Arthur of Lost Abbey Brewing Co. and the first woman to receive the Defense of the Industry award, Nancy Palmer of the Georgia Craft Brewers Guild, for leading the charge to change wholesaler agreements in her state. The presentation of the overall industry stats for small and independent craft brewers prompted a slightly less gleeful response than in prior years. Closures of breweries ticked up slightly, with more predicted. Still, craft beer is growing. Brewpubs produced 1.5 million barrels and are still increasing sales at a 15% pace. On the production brewery side, microbrewers are still growing at 17%, while the larger regional breweries, producing the lion’s share of barrels in a more competitive sector of the marketplace, grew at only 1% for the year. Meanwhile, more new breweries are in the permit pipeline and the TTB has 9,175 active licenses now. The BA offered assorted stats, including the insight that on average, older craft breweries of all sizes grew more slowly than newer ones over the last year. The BA celebrated long-sought excise tax relief won for small American brewers. However, this reduction was set to sunset after two years, unlike some other features of the tax bill passed a few months ago. The annual tax break to small brewers will cost less than half of one percent of the annual tax break that Wells Fargo will reap on an ongoing basis. Brewers were urged to reach out to members of congress early to request a renewal of the excise tax break. The craft beer caucus has blossomed into the largest and most bipartisan caucus in congress, with 231 members. The BA’s goal is to get every congressional representative involved and aware of what the excise tax savings are doing for job creation and other investments in small breweries. As in prior years, a tasty collection of seminars offered expert opinions on everything from using crime-mapping data to support a taproom license application to managing hop contracts to effectively counting viable yeast cells under a microscope. For those looking to expand the craft drinking audience beyond the mostly white, mostly-male crowd seen in so many taprooms, J. Nikol Jackson-Beckham, recently hired by the BA as their first Diversity Ambassador, convened a session. She noted that “declaring that you care about diversity does nothing to accomplish it.” Training about diversity and inclusion proves less effective than ongoing mentoring and networking, she explained, adding that, like recipe development, you must keep at it, tweaking it until you get it right. A marketing trends workshop maintained that cocktail trends are later reflected as beer trends. Currently, some cocktail makers are playing with “functional” ingredients such as wheat grass and spirulina — which may prove to be nearly as eye-catching and peculiar as edible cupcake glitter, but with more alleged health benefits. Outside the hall, Nashville proved to be a most convivial host city. Local and visiting breweries hosted parties, many featuring local music acts and specialty dishes such as hot chicken. Yazoo Brewing Co., for example, repeatedly hosted industry groups in their pub before opening time. City bars and honkytonks featured beers seldom seen in Tennessee, to the delight of local drinkers.